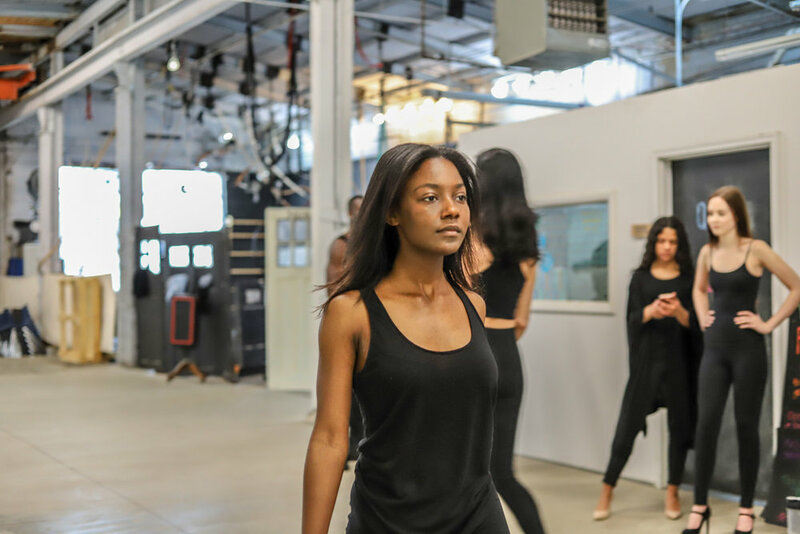 A runway casting is held each season at the studio. This is a 3 hour in-person open-call for aspiring models of all experience levels. You may show up at any time, and you may leave after auditioning. CES directors and assistants will record your measurements and contact information, then photograph a quick digital for the designers, then audition you. 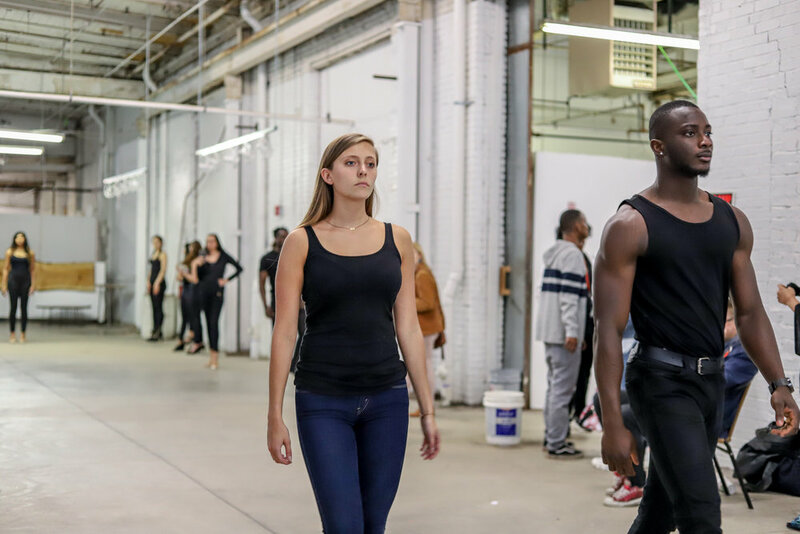 Our casting is an empowering opportunity to get expert runway walk critique, network with peer models and industry leaders, and experience a casting. We love to see models come out even if they are unavailable the day of the runway. We also scout for CES Limited USA management. Casting to be held upstairs in the Chromedge Photo Lab, NOT the 400 W Rich building. Free lot parking is available on site, ok to use 400 W Rich parking. Parents, chaperones or rides are welcome to accompany models and wait near the door. 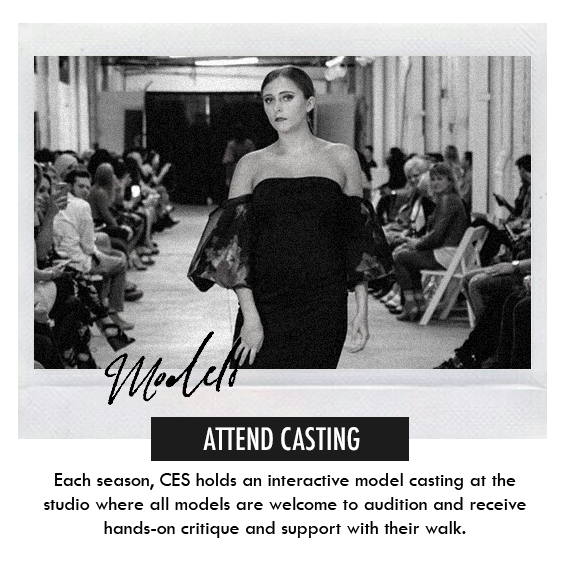 MODELS ARE REQUIRED TO WEAR AN ALL BLACK, TIGHT "CASTING" OUTFIT, no makeup, natural hair, and heels. Models age 15+ of any height, weight, shape, color, and gender are welcome at the CES casting. We work with diverse designers and brands. Our directors will meet you where you are and provide tips and coaching on site. Signed models welcome. Must know your up-to-date body measurements. previously casted models to complete designer's requests. CES will also be scouting for our international model management. must be unsigned and meet management requirements.